We used at the time of maintenance of snow blower. Since fuel leakage was caused by the deterioration of the fuel hose, I thought of a highly durable hose and used this product instead of the stock. I am expecting the durability because it seems to have no problem with the feeling I used. This review is about item#36711281. This hose is useful. The engine is running without problems. This review is about item#36711306. Although there is (with gasoline correspondence) in the statement of the commodity, it is unclear whether the light oil can also be used. This review is about item#36711315. Because it is rich in size and gasoline-ready, we replaced the old fuel hose with this hose. It is useful. It is useful because it can be used as long as it has the inner diameter as piping for the oil supply route of old engine which is old as general purpose. I was able to cut according to the length of my bike Since the old hose has broken or the like, regular replacement is necessary I think that it can be used for agricultural machinery etc. It may be good to be able to purchase without going out and buying it at a price that does not differ from the bike parts shop. It is a troublesome situation that it takes time to gather necessary parts over 3,000 yen. This review is about item#36711297. It was saved thanks to size. It can be used with confidence by saying heat resistant and oil resistant than ordinary rubber. It has flexibility, price is also cheap, so it is suitable for gasoline hose of every machine, so it is recommended. The hose is two layers and can be used with confidence. 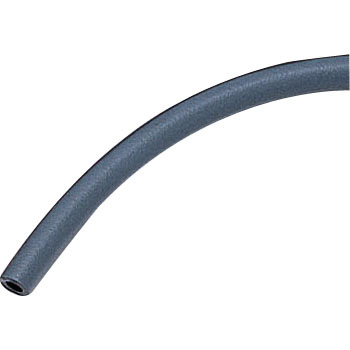 Petrol hose is satisfied to purchase a safe hose. It is planned to be used for motorcycle maintenance 20 years ago. It does not seem to be a problem. Although it was used for a 6 mm outer pipe (hose with an inner diameter of 6 mm), the attached clip was loose and could not be used. Purchased attracted by heat resistant temperature. We will arrange the hose in a space with a narrow heat Focus on heat resistance. The fitting feeling has elasticity, it is good. I pray that cracks will not occur. Exchange due to aged deterioration of the fuel pipe around the engine head. Good except for durability unknown. Used as a fuel hose of a lawn mower. Because it is piping around the engine, it has good heat resistance. Will it be durable after that? Exchange due to deterioration of fuel hose and vacuum hose. It is very convenient if you purchase it together with other items without going cheaper than the store. Endurance will not be known until the passing of years.